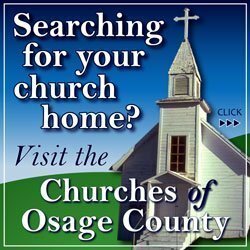 Join us at the Osage County Senior Center for exercise, art, health classes, games, trips, community activities, and outings. Watch our weekly schedule! Don’t forget May 14 is an evening of music and mingling, with dessert and dancing with the Kings of Swing. 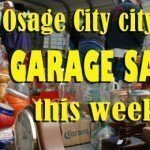 For more information, contact the center at 785-828-4906 or 604 Market St., Osage City. Thursday, May 12: Biscuits and gravy 8:30 a.m.; art and painting 9 a.m.; crafting with Ella 10 a.m.
Friday, May 13: Balloon volleyball 9 a.m.; bingo 10 a.m.; yoga 11 a.m.; cribbage 12:15 p.m.
Saturday, May 14: The “Kings of Swing”, dessert and dancing, people of all ages invited, $10 at the door, 7 p.m.
Monday, May 16: Sewing 8 a.m.; armchair exercise 11 a.m.; abstract art 12 p.m.; cribbage 12:15 p.m.; play pitch and eat 5:15 p.m., pitch begins at 5:45 p.m.
Tuesday, May 17: Ceramics 9 a.m.; Mexican Train games 1 p.m.; commodities distribution. 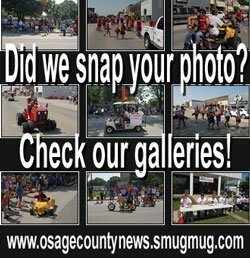 Wednesday, May 18: Sewing 8 a.m.; armchair exercise 10:30 a.m.; cribbage 12:15 p.m.; birthday dinner 12 p.m.
Thursday, May 19: Art and painting 9 a.m.; crafting with Ella 10 a.m.; bus trip to Topeka for shopping. Friday, May 20: Balloon volleyball 9 a.m.; bingo 10 a.m.; yoga 11 a.m.; cribbage 12:15 p.m.; HTHC foot care; hearing checks.